The combination of the white front panels and the eye-catching modern concrete-look décor of the rectilinear carcass is what defines the Hanau range at first glance. These furnishings complement each other perfectly and offer quality, convenience and ample storage space. 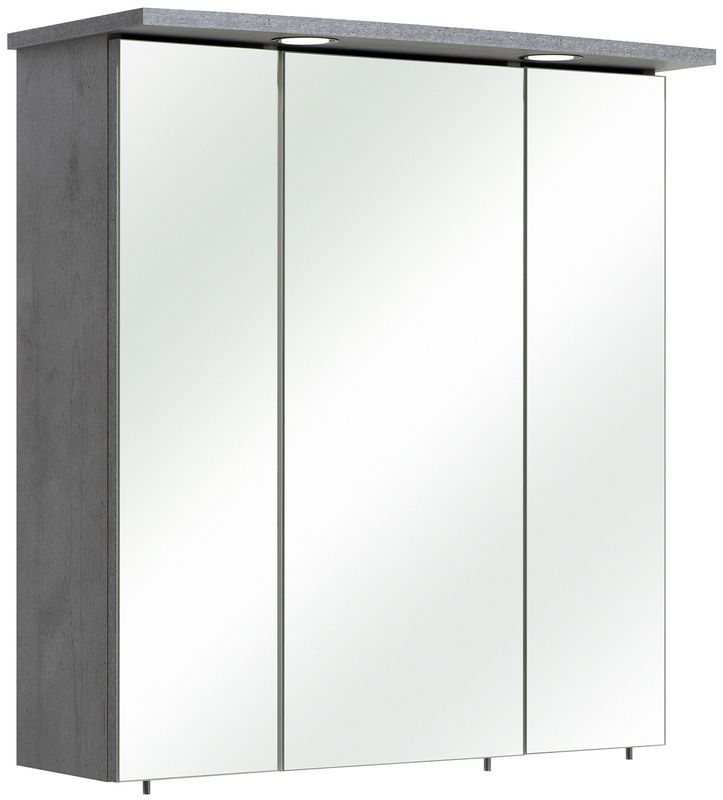 This begins with the tall cabinet and ends with the vanity unit with two doors and a pullout shelf with plenty of storage space. 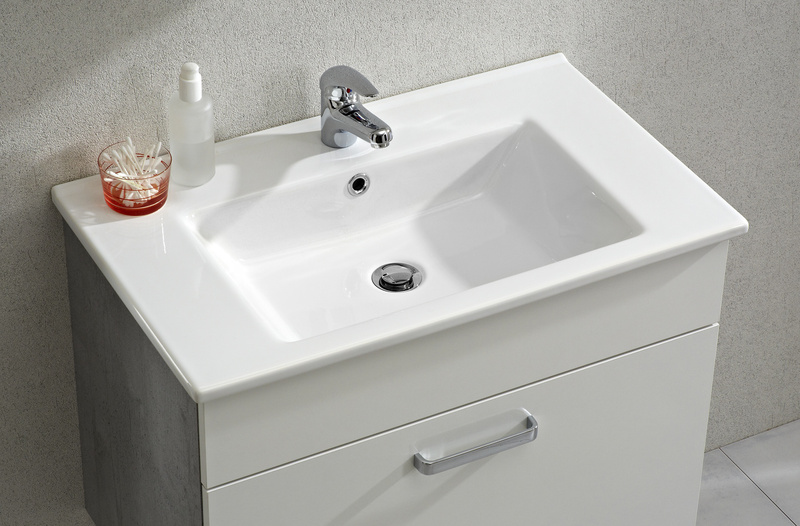 The bow-type handles in chrome gloss emphasise the clear lines and ensure the cabinet doors are easy and convenient to use. The outside of your new furniture set is covered with a high-quality film in lacquer or with a wood appearance and feel. On the inside, your bathroom furniture set is coated with white melamine - which is ideal for quick cleaning and less prone to collecting moisture. We manufacture our own furniture using the latest techniques and in accordance with the latest compatibility standards and norms. 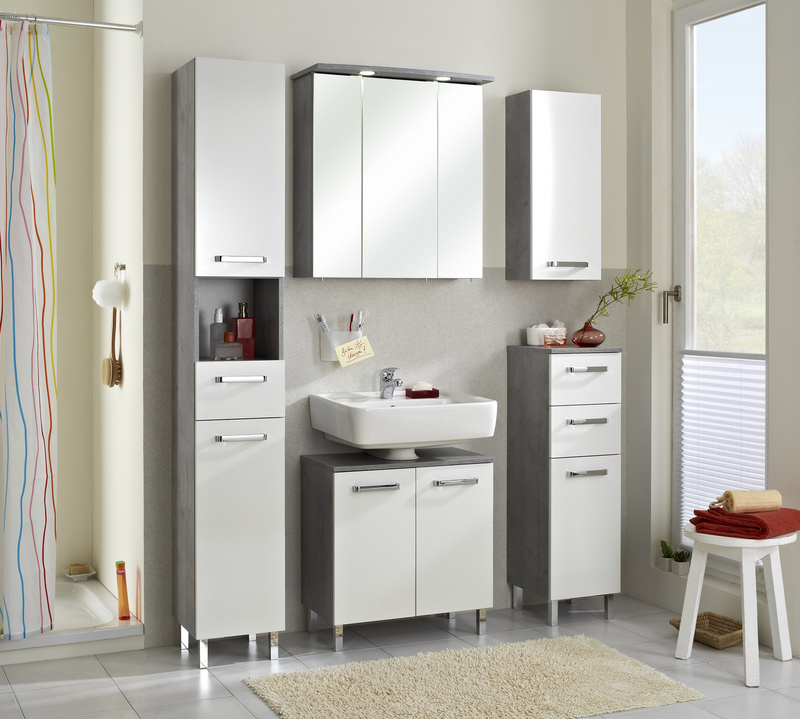 Discover an affordable range of bathroom furniture with all of the properties that you could wish for in a new bathroom.